Before I start this tutorial, I want to make one thing clear: I do NOT recommend you use OpenShot to make a time-lapse video. It is certainly possible, but far too buggy in my opinion. I have done another tutorial documenting how to do the same thing using Kdenlive, and it is MUCH easier to do. You can view that tutorial here. 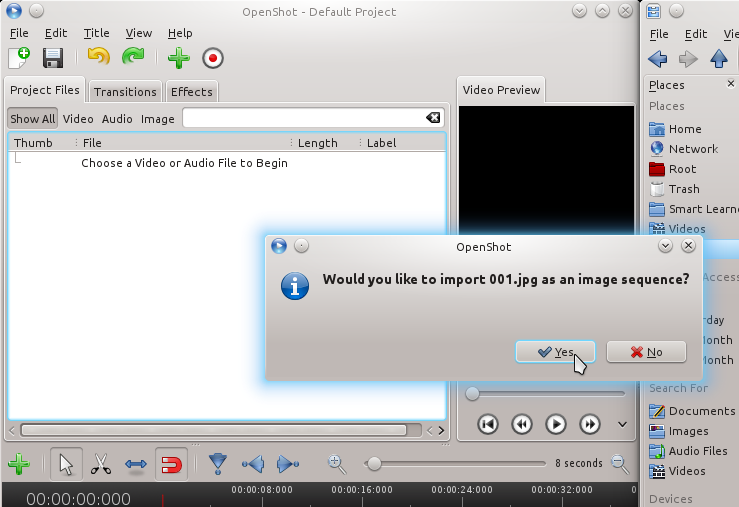 Before you can make the video in OpenShot, you will want to prepare the files to make your life easier. 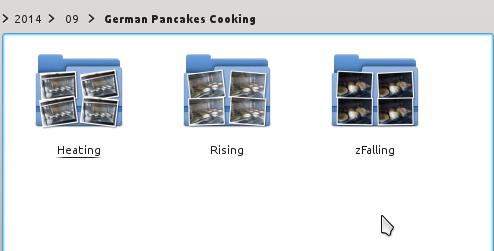 I use KRename to rename all my photos. I recommend renaming as simply a number with a lowercase jpg extension. 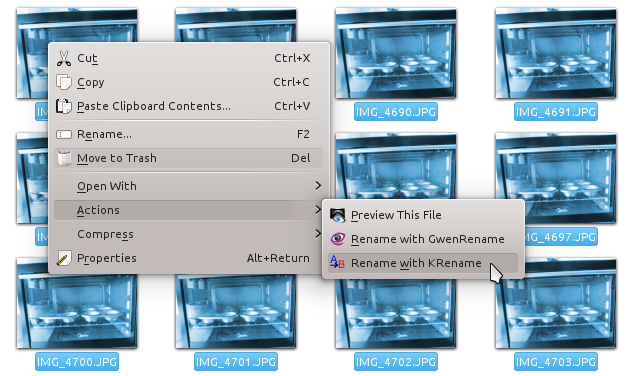 Once you have renamed the files, choose one file to drag and drop into OpenShot. 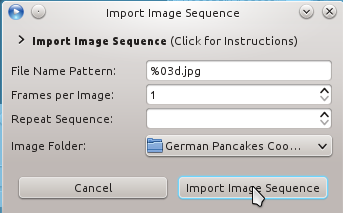 Once you have dragged the file over, it will ask if you want to import the image sequence. Click on "Import Image Sequence." 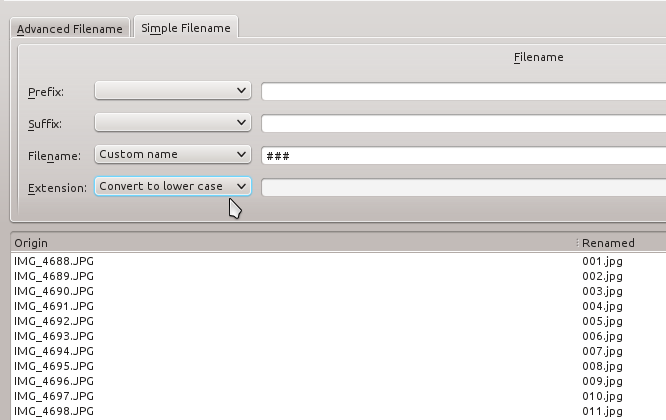 If you did not already rename your files, it is likely that it will not recognize the file name pattern and only import a single image. Once the image sequence has been imported, you can drag the sequence onto the timeline. That is it! Now you can save the video. Click on "File>Export Video..."
You can choose whatever setting you like. I chose the Blu-Ray settings to get a higher quality video. Some things of note. I found that for some reason images were being left out when I exported the video. It seems that OpenShot has difficulty handling more than 100 images at a time. Because of this I created multiple folders of 100 images each. Even after doing this I found that it still did not work. I had to go back and rename each folder from 1-100. 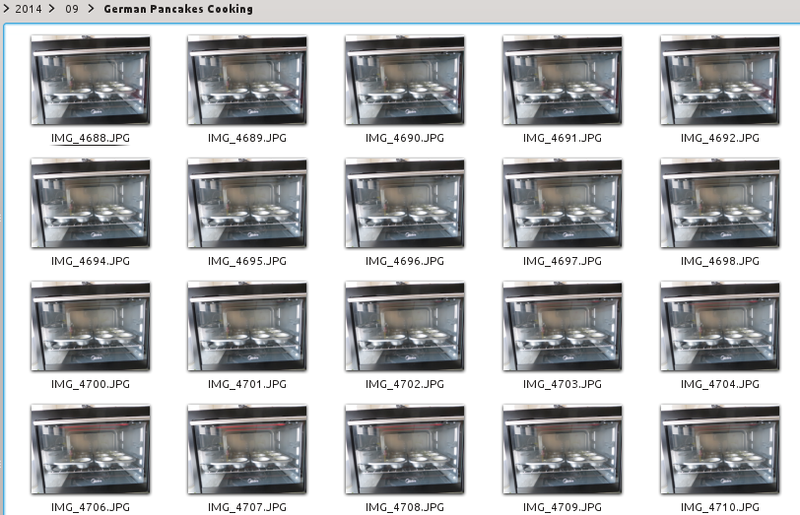 When I added all the sequences together it became chopping and had blank frames. 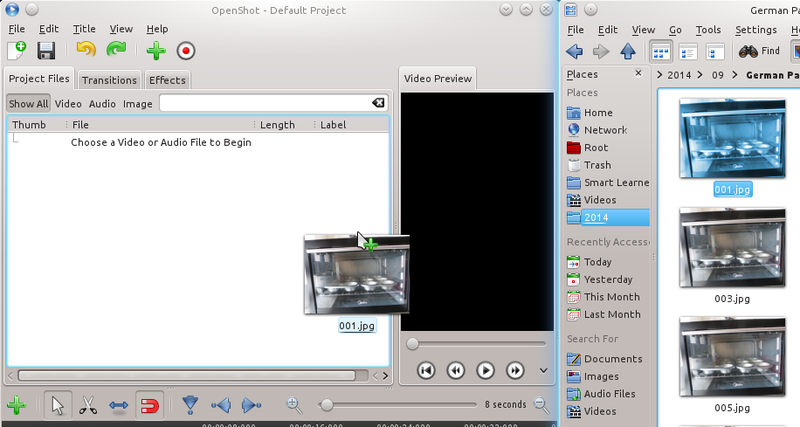 For these reasons, I recommend you do time-lapse in Kdenlive instead of OpenShot. Here is the final time-lapse video I made (Note: this was created using Kdenlive. I never was satisfied with the final result from OpenShot). why you choosed kdenlive at the end ? what was your problem with openshot ? There were a few problems I experienced with OpenShot. 1. It was fickle. I had to rename all of the files for it to work. It took me a while to figure this out on my own. I had many failed attempts before I figured this out. 2. It was buggy. It would crash. 3. (Main and very valid reason) It would not use ALL of the pictures. It seemed I was limited to about 100 images. 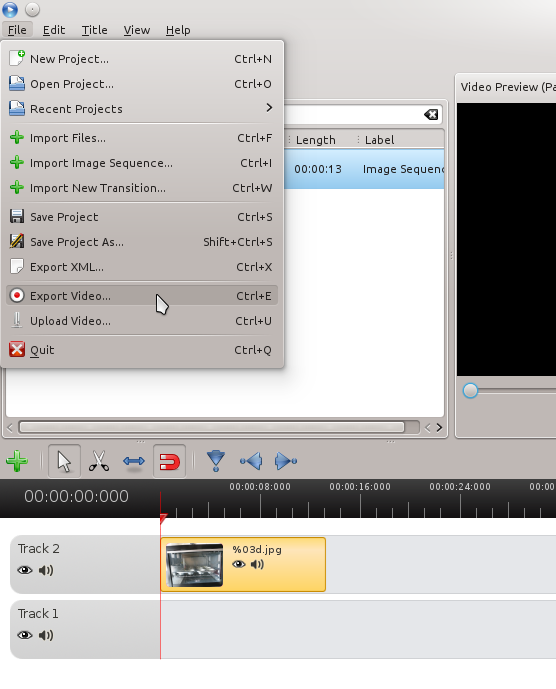 When I tried it, I would have to do groups of 100 images, export it to video, then add all of those videos together. 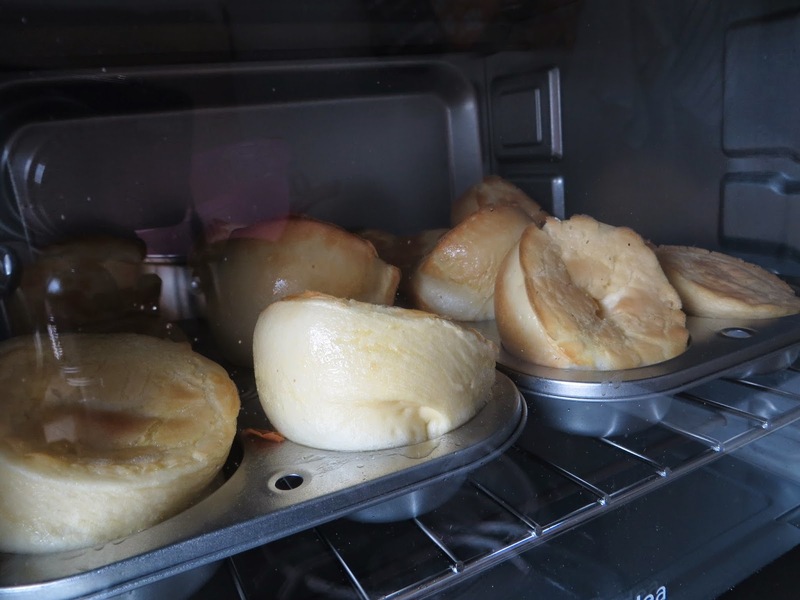 The end result was choppy. Not to mention, it took a very long time for that whole process. With KDEnlive I did not experience any of these issues. Thanks for your comment and link! Your English is great! I think OpenShot has made a lot of improvements since this was posted. I will try giving it another shot.